The mission of the IBM Romania Delivery Center (in Bucharest and Brasov) is to provide customers with a seamless and secure solution to their global business needs. The Centre is part of the long-term IBM vision for Global Delivery that includes Remote Delivery from India, China, Brazil and Romania. The Bucharest and Brasov Centers are client oriented organizations with specific technologies and a dedicated young team of professionals. Our capabilities in terms of resources have increased exponentially in the recent years. Furthermore, new technologies have been introduced and more partnerships have been agreed upon, both with international companies as well as with universities. 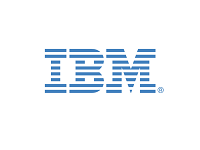 A wide range of essential qualities recommend IBM Romania DC as a strategic business partner worldwide: strong technical skills, very good multilingual capabilities and multi-ethnic background. Vă puteți depune CV-ul direct pe site-ul unde este afișată poziția vacantă.